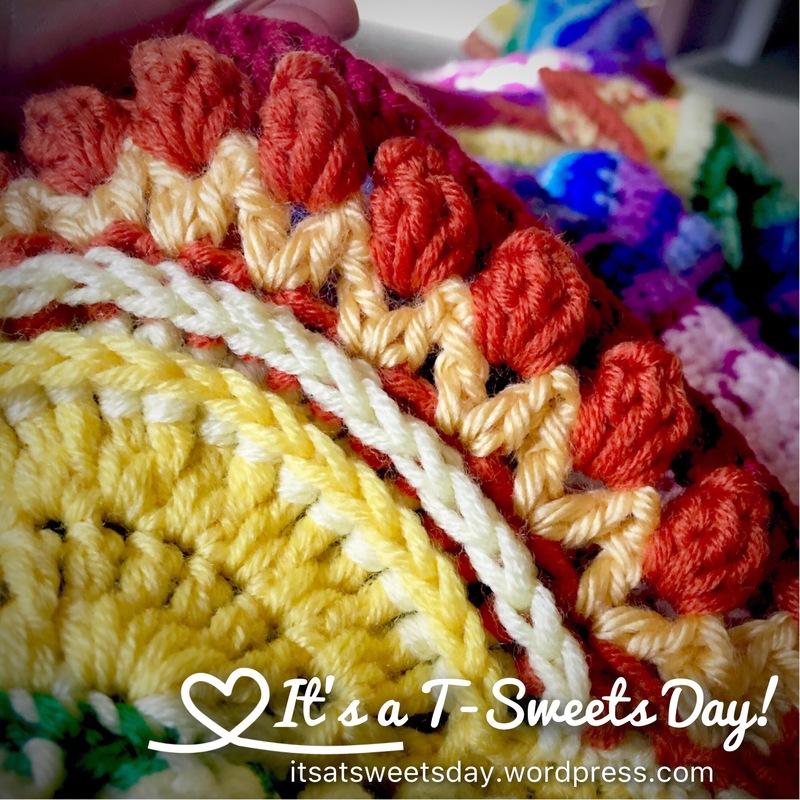 Mandala Madness Almost Done – It's a T-Sweets day! 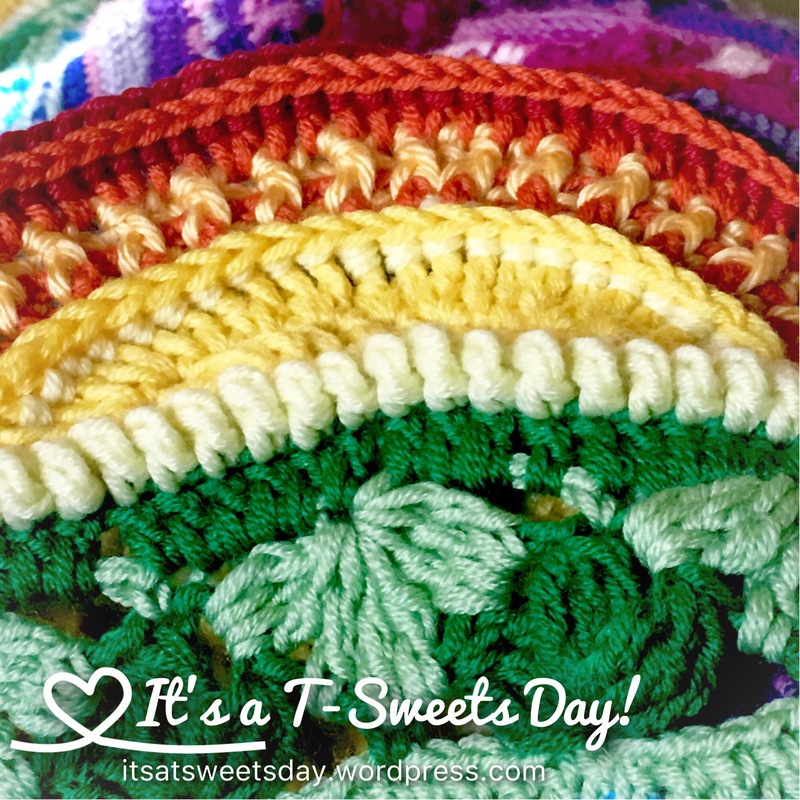 Published on October 27, 2016 by Tracy @ It's a T-Sweets Day! I am stitching away on this beauty at every “free” moment I can find. It is large, no really really large. It is probably 6 feet in diameter. Each round is taking longer and longer to complete. I can’t believe how long the last orange round took me. 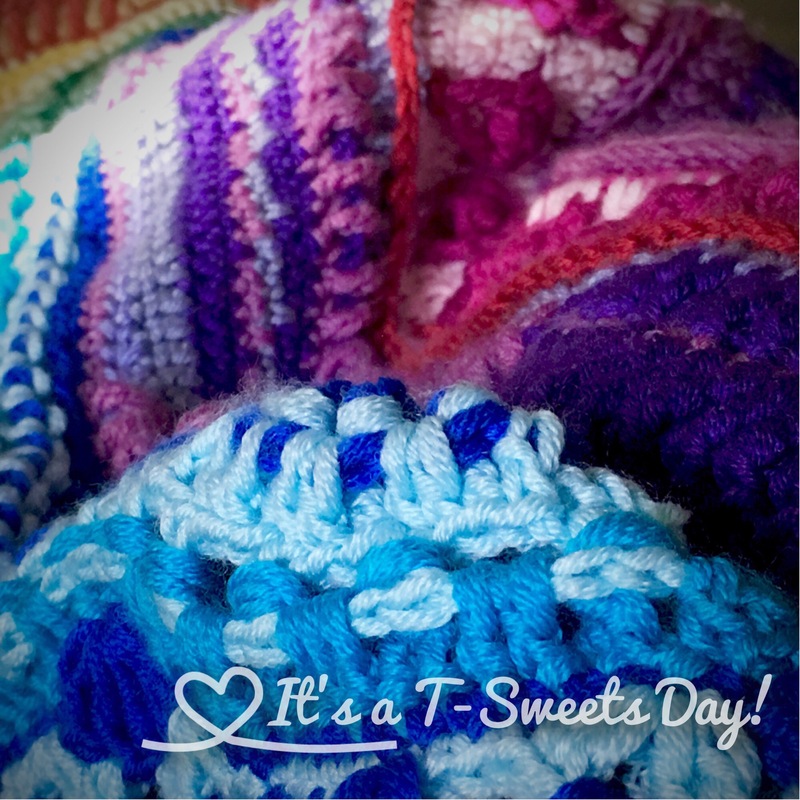 It seemed like every time I would be able to sit and stitch, someone would call or I would be so sleepy that I would stop after one small repeat. It drove me crazy! But as I am sitting here crocheting and looking at how pretty it is here on my lap, I just love it:). 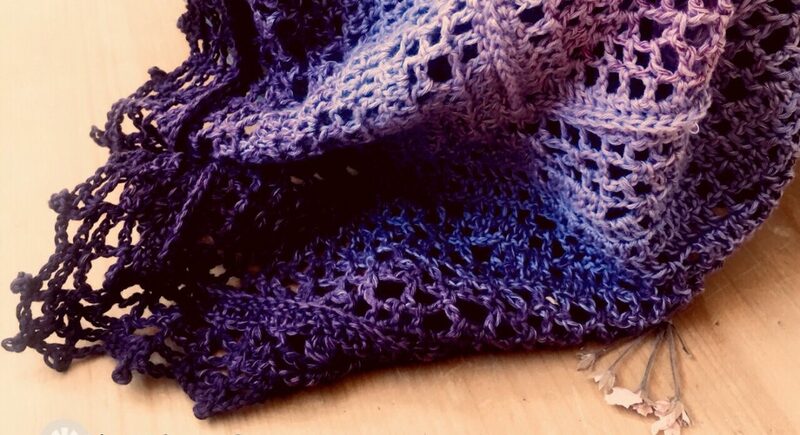 The feel of the Scheepjes yarn is so soft and the textures are hypnotic. It has been a delight! The next post about this mandala will probably be to say that I am finished and to show you all my completed round afghan. All that will be left will be the SWEET memories….